It's Week Two of the One Room Challenge! Our kitchen (see week one) is coming right along, and thankfully our energy and motivation levels are not being depleted as quickly as our bank account; this was a very expensive week! Knowing that our footprint is so small (10 feet by 10 feet), it was important to us to make the space feel spacious and luxe. 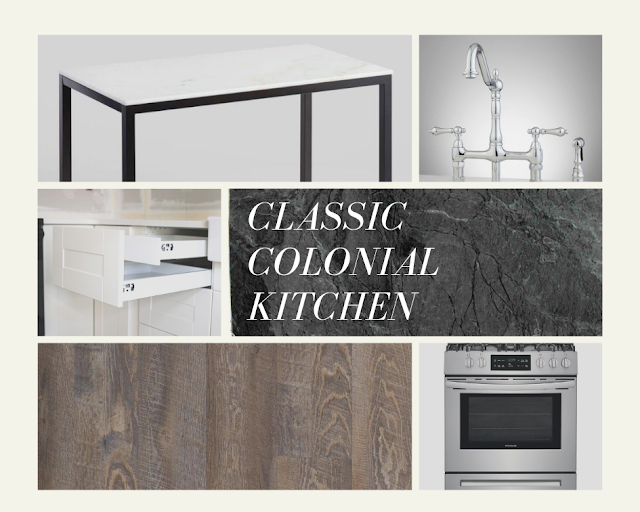 I tried to choose finishes that accomplished that without completely bankrupting us. The cabinet image is by Abby Lawson. Her tutorial for IKEA cabinets is so helpful! We will have cream shaker cabinets (IKEA), a greenish black soapstone for the counters and backsplash, polished nickel hardware (with some matte black thrown in here and there), the same gray-brown wood look floors as the rest of our house, and stainless appliances. I'm still shopping for lighting and shelving, so I'm not sure where we'll land on those quite yet. IKEA broke my heart and lost our kitchen design, so I decided to quickly (if multiple hours is quick, haha) recreate it on a sketch pad. Real time update: floors are installed, cabinet boxes and most of the doors and fronts are on. We ordered our counters, sink, and faucet over the last couple of days, so those should be installed in around two weeks. The biggest project that we have yet to do is to replace our patio door, which currently swings the wrong way, with a set of french doors. I'm still optimistic that we'll have this thing done before our deadline in four weeks! 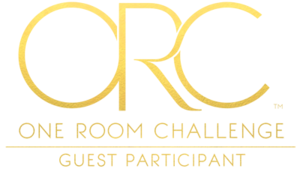 Thanks for following along, and make sure to go check out the other participants' rooms here!